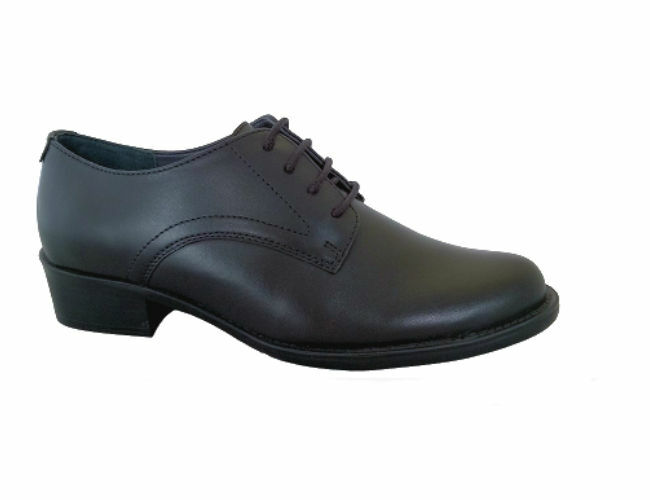 Ladies cadet parade shoe in black leather. Look smart with the new design in footwear for female cadets. This is a lovely shaped shoe with raised heel in the traditional style and is easy to maintain and keep clean.It has a TRR sole unit that will help with grip along with the cushioned insole and lined sock.It has a 4 eye lacing system and tongue for comfort. Comes in size from 3 to 8 UK.